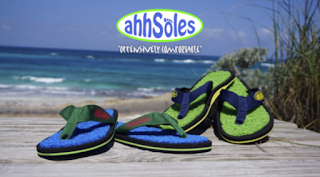 If you weren't the lucky winner of my AhhSoles Flip Flop giveaway, AhhSoles has an exciting discount to offer. AhhSoles is offering 20% off their website for the next 72 hours...use code 'July4th' to get the discount. This offer will expire Sunday, July 9th, at 11:59pm. Happy Shopping!